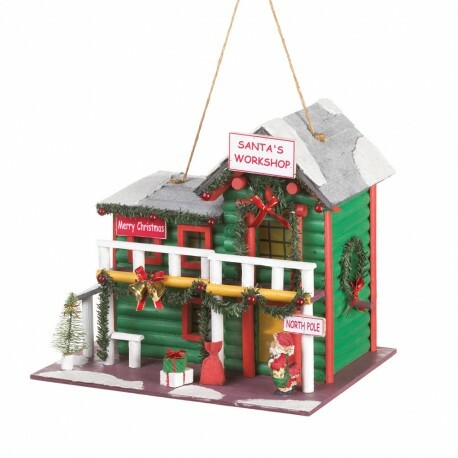 Here's a jolly place that birds will love to call Ho-Ho-Home! This log cabin birdhouse is decorated just like Santa's Workshop in the North Pole, complete with bright green and red paint, festive wreaths, wrapped gifts, and even Jolly Ol' Saint Nick himself! Hang this in your backyard and watch as the birds cheerily make it their holiday home.